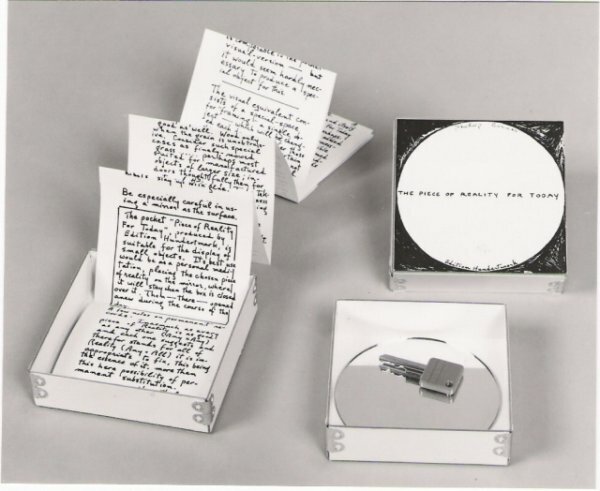 PHILIP CORNER, "THE PIECE OF REALITY FOR TO DAY"
A white box with a text folded and a mirror. 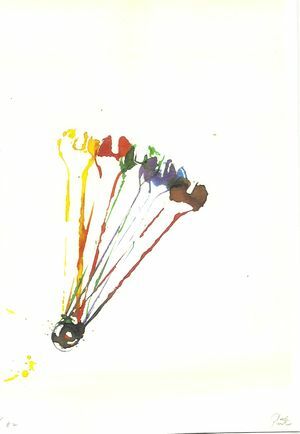 PHILIP CORNER, "RAINBOW HOUSE HOLD"
A record with 60 minutes run time. 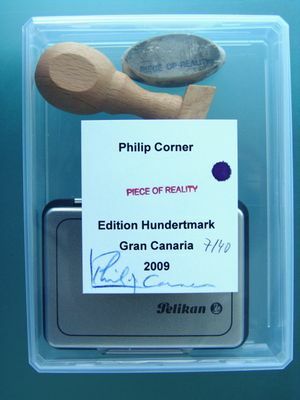 PHILIP CORNER, "PIECE OF REALITY"
A stamp, a ink-pad and a stamped object. 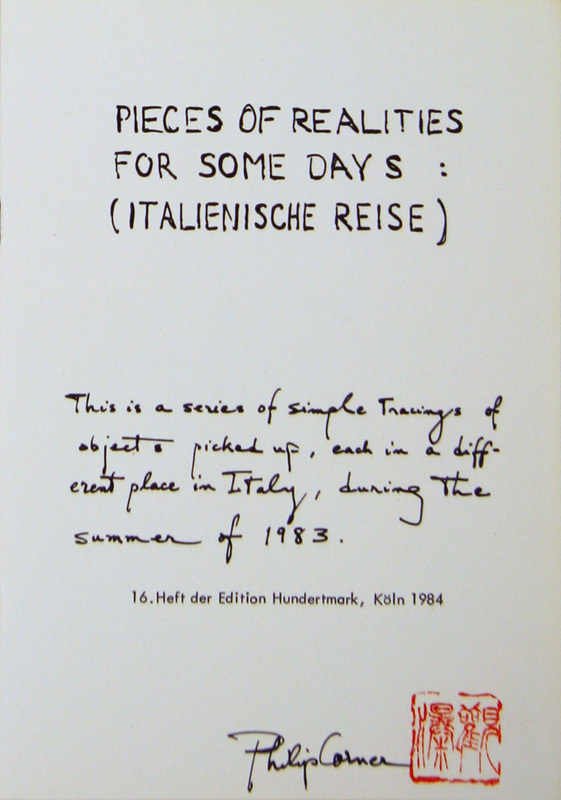 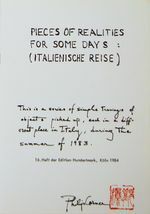 PHILIP CORNER, "PIECES OF REALITIES FOR SOME DAYS (ITALIENISCHE REISE)"
16 pages with illustrations and a preface, cardboard cover, offset-print. 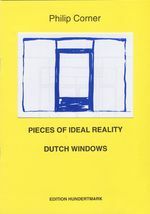 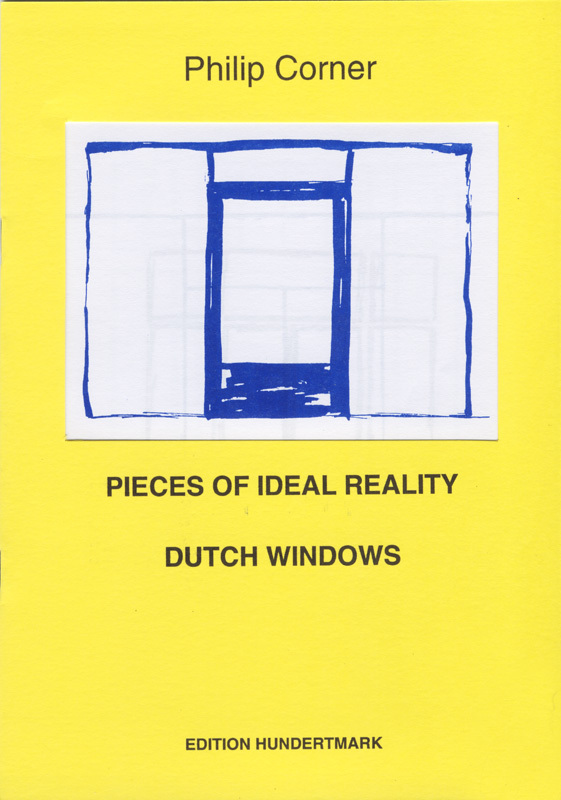 PHILIP CORNER, "PIECES OF IDEAL REALITY DUTCH WINDOWS"
16 pages with blue illustrations, yellow cardboard cover, offset-print.